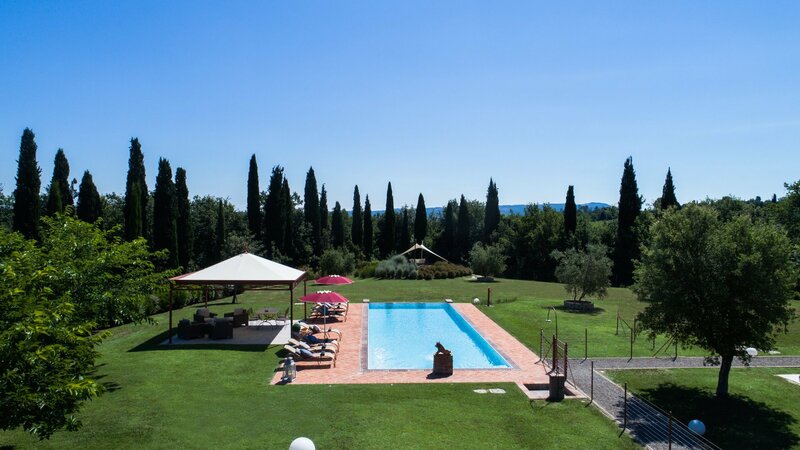 Located in an exceptionally beautiful, lush and varied Tuscan landscape dotted with olive groves, vines, fields of wheat and sunflowers, Flora is a perfect retreat for summer holidays. 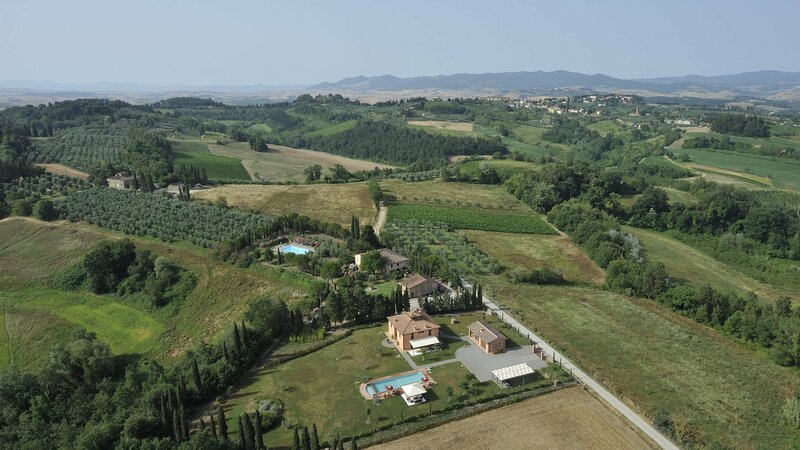 Situated where the provinces of Pisa, Siena and Florence meet, the villa is just a short distance from the well preserved historical towns of San Gimignano and Volterra. 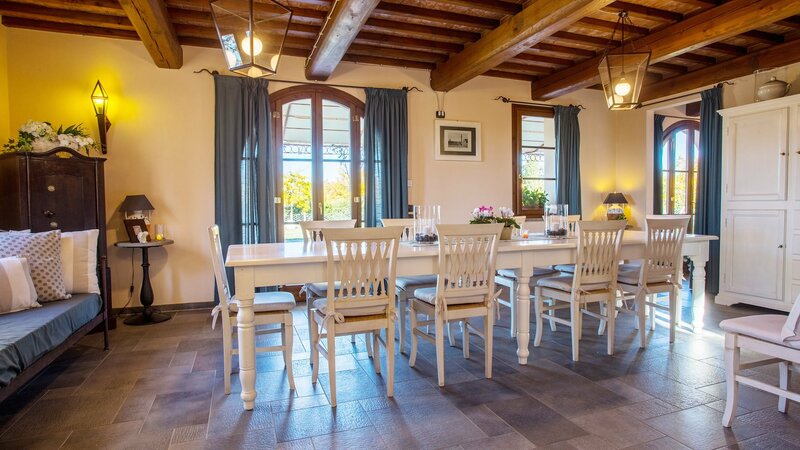 Although the property is situated in the open countryside, there is a good and traditional restaurant nearby, while shops, cafés, bank, post office and chemist’s are a few km away. 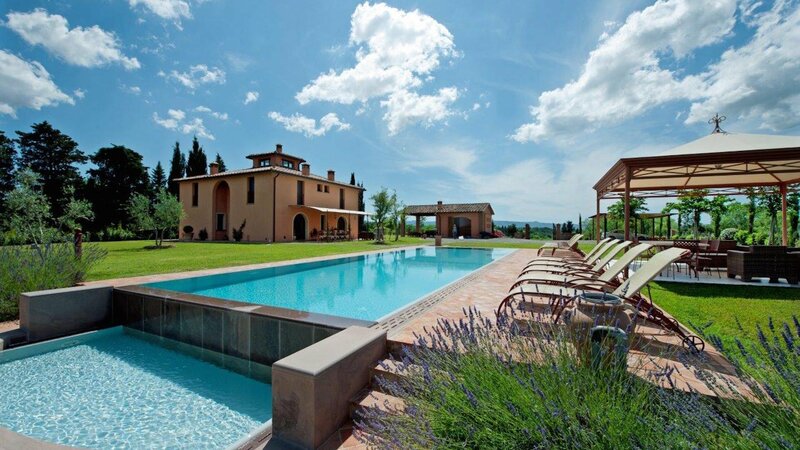 Flora is a traditional 1800 Tuscan farm house which has been recently renovated with great attention to details and now offers the ultimate facilities. 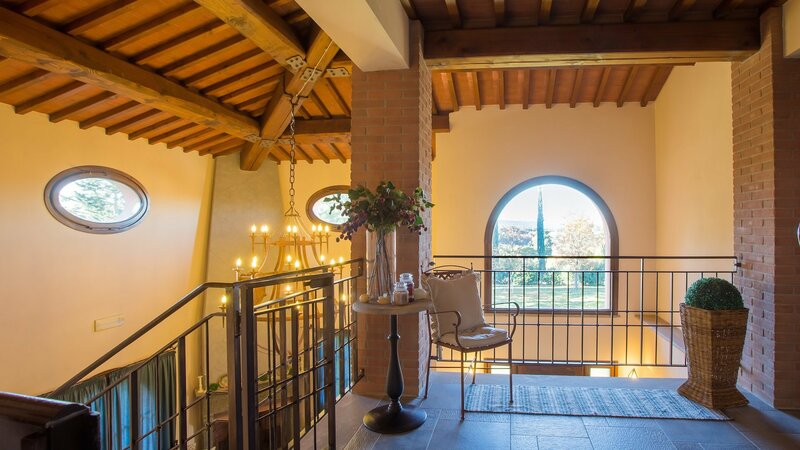 The original elements such as the terra cotta floor, chestnut wooden beams and stone walls enhance the modern restoration to provide a comfortable environment. 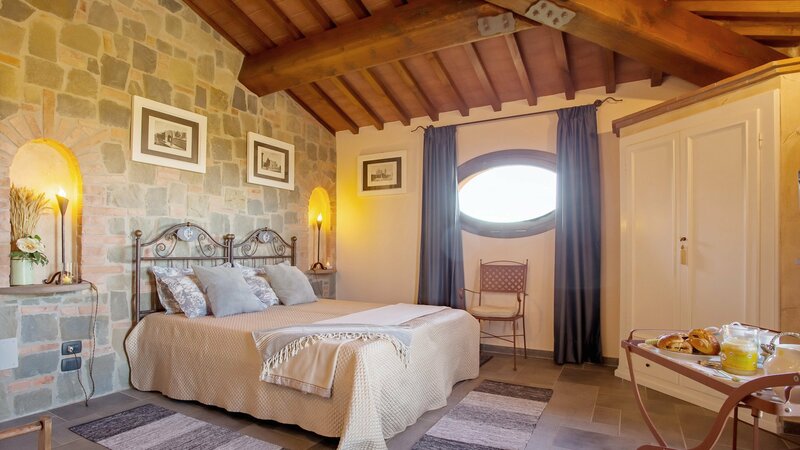 The villa has two floor for a total of 250 sqm and can accommodate up to 11 guests. 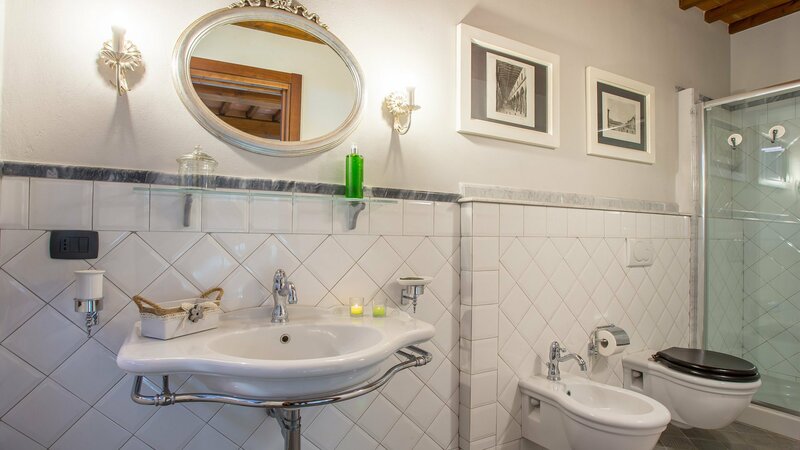 On the ground floor, there is the fully equipped kitchen with a full range of modern appliances, a dining room and a cosy living room with comfortable sofas and satellite TV, a wheelchair friendly bathroom and one double bedroom. 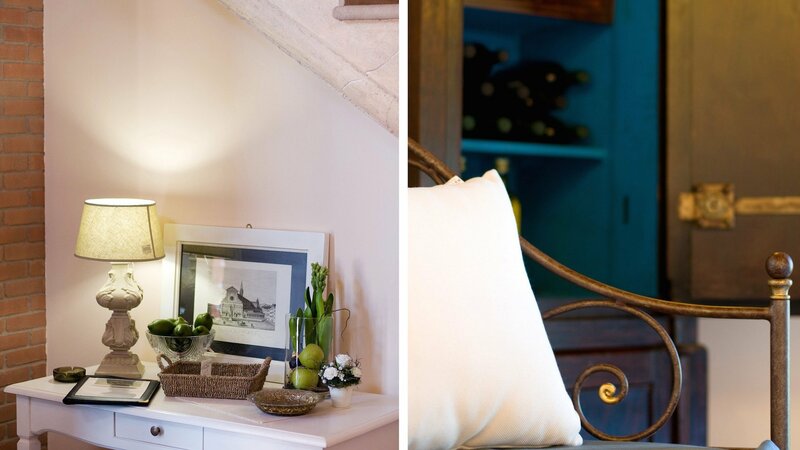 A stone and wrought iron stair case leads to the first floor, where are located the three double bedrooms, all en suite. Finally, a spiral staircase connects the second floor to the lounge room of the tower offering a 360° panoramic view of the landscape. 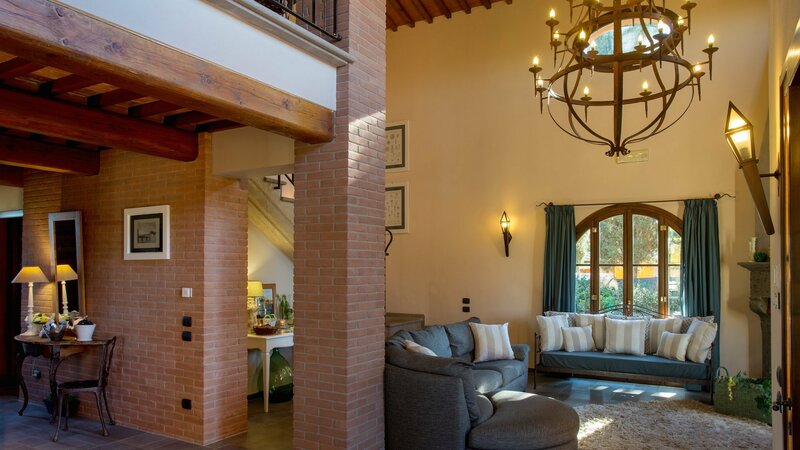 The villa has under-floor central heating and air conditioning throughout, alarm system and telephone. 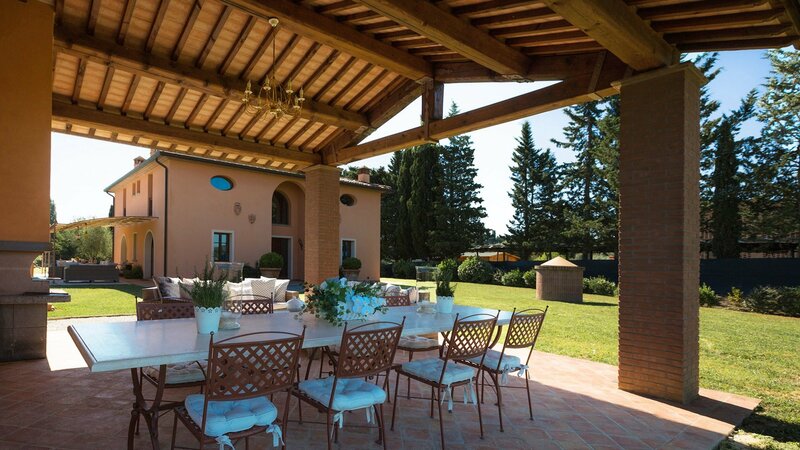 Villa Flora is surrounded by a spacious 5.000m fenced in garden and offers many outdoor dining areas, a porch and a pergola where it is possible to relax on the comfortable sofas. 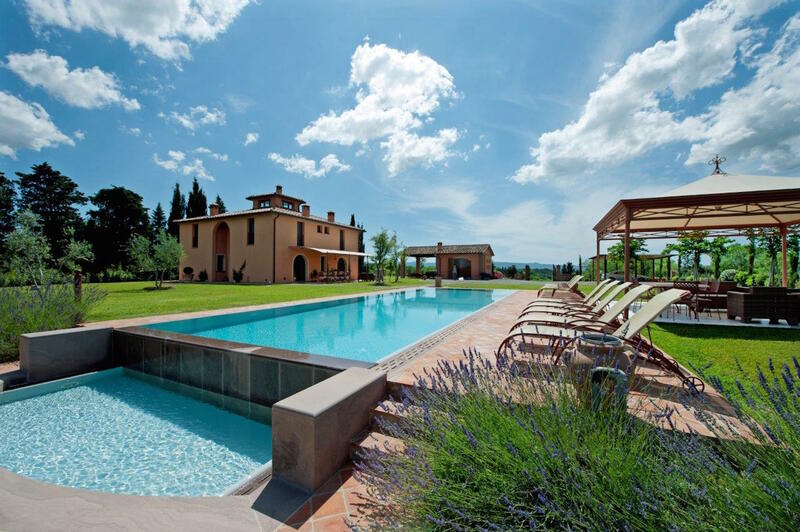 The private swimming pool has an hydro-massage zone and a small waterfall leading to a second smaller pool, ideal for children. Entrance, spacious living room with sofa, fireplace, TV Sat, dining room with table seating up to 12 with direct access to the outdoor dining area, fully equipped built-in kitchen with access to the outdoor, laundry room. 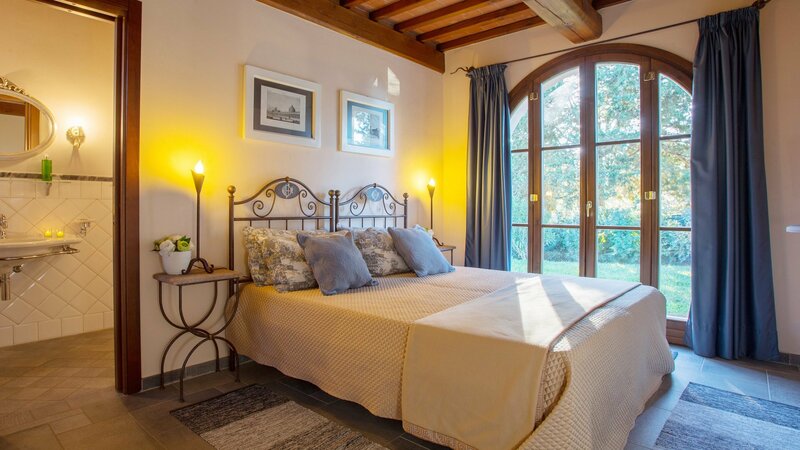 bedroom 1: twin bedroom (bed size 80cmx190cm convertible into a double bedroom) with satellite TV, exit to the garden, en suite bathroom with shower. bedroom 2: double bedroom (bed size 160cmx190cm convertible into a twins bedroom), fireplace, TV, en suite bathroom with shower. bedroom 3: double bedroom (bed size 160cmx190cm not convertible into a twins bedroom), fireplace, TV, en suite bathroom with shower. bedroom 4: double bedroom (bed size160cmx190cm convertible into a twins bedroom), fireplace, TV, en suite bathroom with shower. 14 steps up. 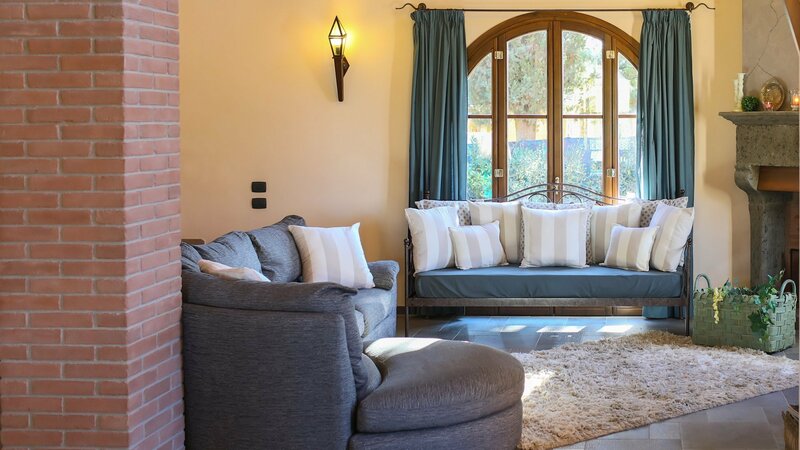 Tower converted into a comfortable lounge offering a 360° panoramic view of the hilly landscape, two armchairs. 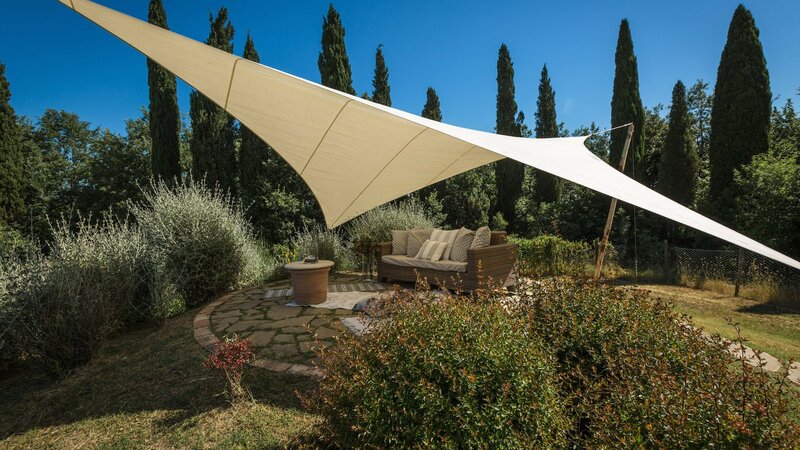 covered parking space for 4 cars, private swimming pool, covered lounge area with sunbeds and chairs, porch with table for 12, sofas, outdoor shower. restaurant about 800mt, bar and small grocery shop Montelopio 1,5km/1mile, grocery shops, supermarket, shops and bank in Fabbrica 3,5km/2miles, tennis court 7km/4miles, horse riding 4km/2,5miles, golf course 10km/6miles, nearest beach 48km/29miles, spa 25km/15miles. wheelchair accessible, pets allowed. 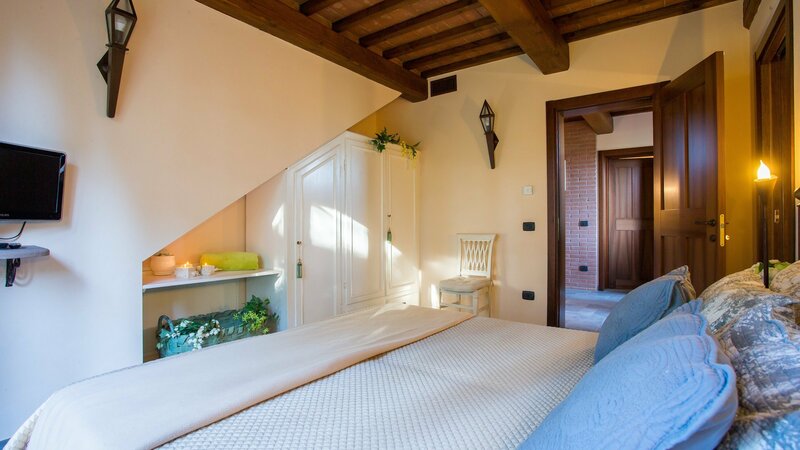 It is possible to add two extra single beds in the bedrooms and one in the living room. 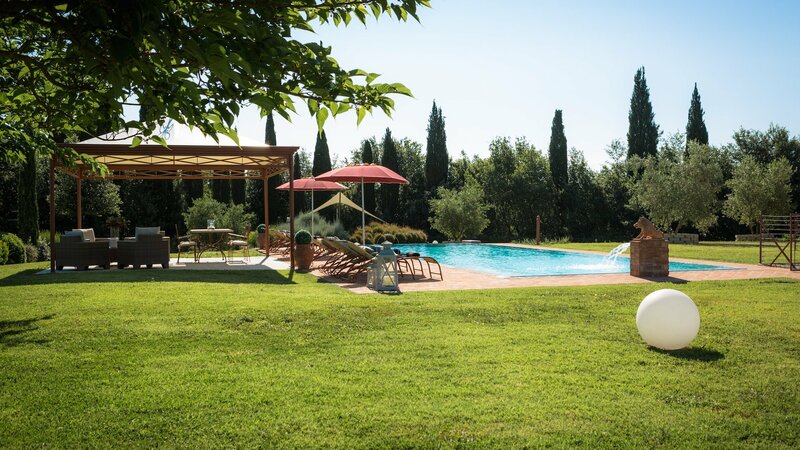 Please note that the villa is located next to an agriturismo and there is a hedge and some trees separating the two properties. From the swimming pool it is visible the road which leads to the villa and to the nearby restaurant; privacy might therefore be slightly compromised. 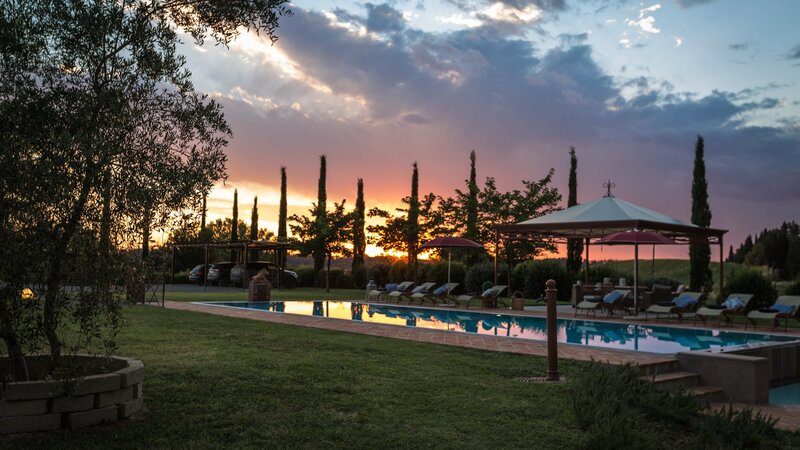 Concierge service, change of linen on Saturday, change of towels on Saturday and midweek, final cleaning on Saturday, garden and pool maintenance every other day (from 6am to 7.30 am). For stays between April and October free guided walk tour (not private) of the village Terricciola (on Tuesday morning from 10 am to noon). 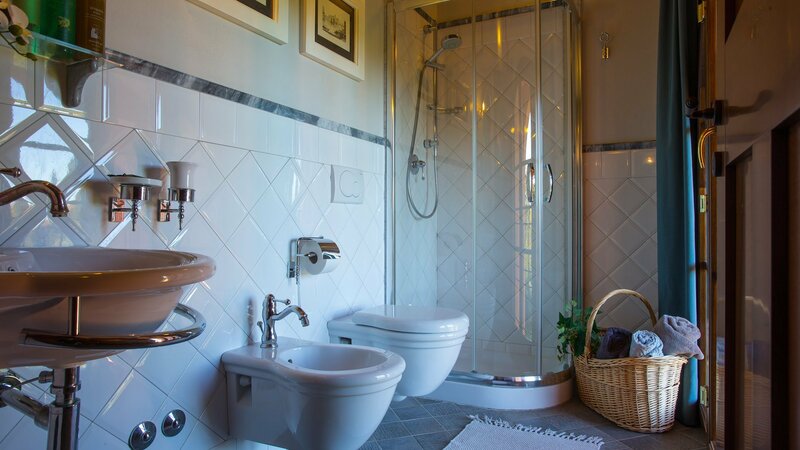 heating 4,5 Euro/m3 (approximate weekly cost from 150 to 200 Euros), air conditioning 0,45 Euro/kwh (approximate weekly cost from 150 to 250 Euros), maid service 15 Euros per hour, cooking service: dinner for 2 pax Euro 260, dinner for 3 pax Euro 310, dinner for 4 pax Euro 360, for any extra guest, +30 Euro per person (for 2 meal menu), +35 Euro per person (for 3 meal menu), + 40 Euro per person (for 4 meal menu). 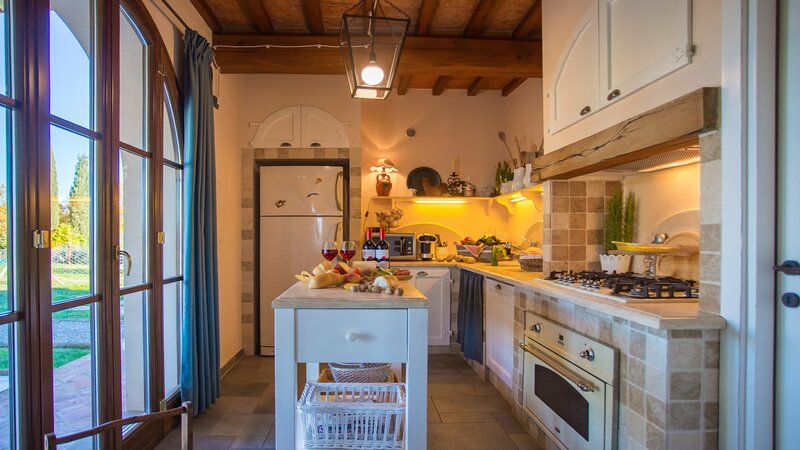 Cooking lessons at the villa: 2 people with 2 course menu Euro 300, every extra person 35 Euro per person, 2 people with 3 course menu Euro 340, every extra person 40 Euro per person, 2 people with 4 course menu Euro 380, every extra person 45 Euro per person. 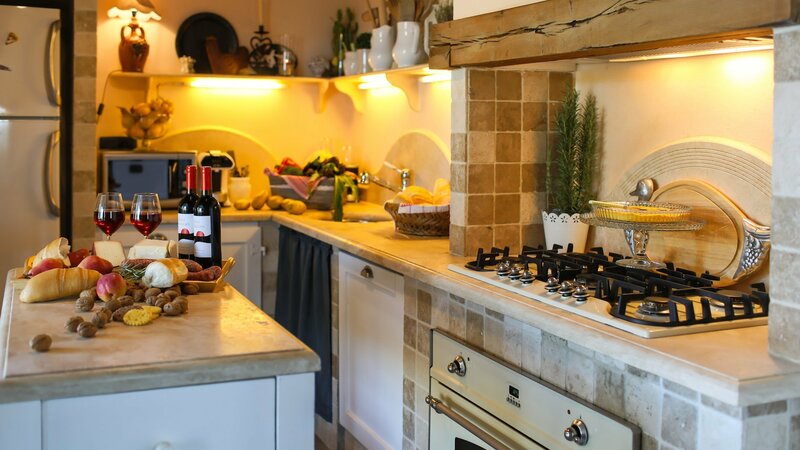 The costs for the cooking service and cooking lessons do include food, wine and water, waiter service and cleaning of the kitchen after the meal. Babysitter 15 Euros per hour, extra change of linen 12 Euros per person, dog fee 50 Euros per week per dog. Volterra 20km/12miles, San Gimignano 29km/18miles, Livorno 45km/28miles, Pisa 48km/30miles, Lucca 49km/30miles, Siena 68km/42miles, Florence 73km/45miles. airports: Pisa 45km/28miles, Florence 73km/45miles. 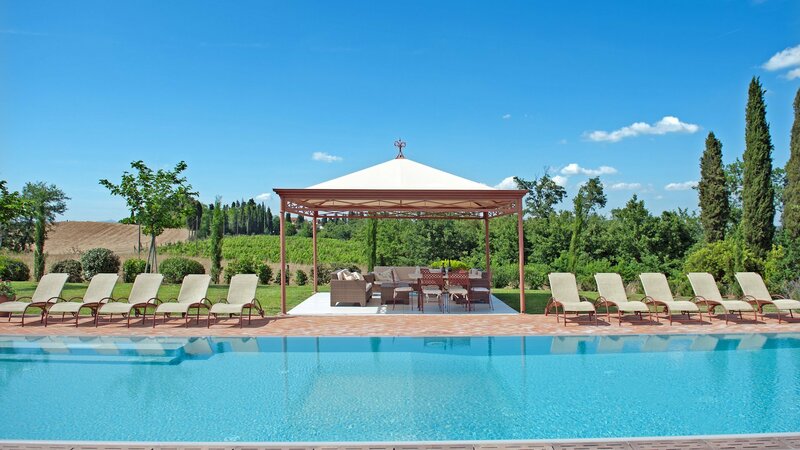 "The villa is lovely, fully equipped with everything you could possibly need. Beautiful pool, very secluded location. " 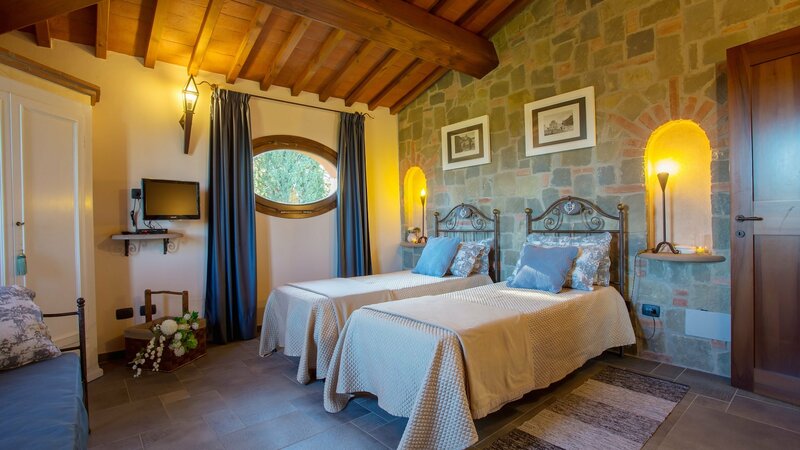 "Really lovely place to stay, really friendly host and pizza night was great. Could have benefitted from extra pillows and air conditioning. Would recommend and hope to come back." 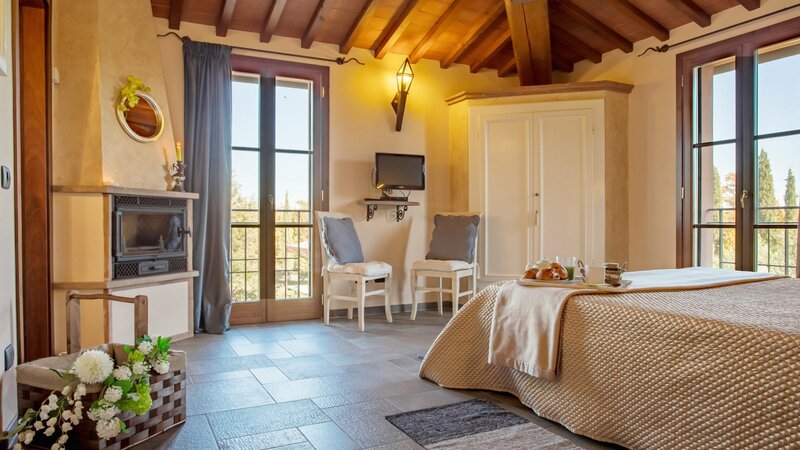 "Pasamos unos días encantadores en el hospedaje de Francesco, la casa era tal cual no la describieron con el típico aire toscano, con una terraza hermosa la cual utilizamos a menudo, Francesco nos recibió muy bien y siempre estuvo disponible para brindarnos cualquier información y recomendaciones de la zona, por ejemplo a pie se puede ir al mejor restaurante de la zona atendido por un amigo de Francesco con una comida exquisita y servido con gran familiaridad para compartir. Recomiendo 100% este hospedaje y sin duda volveremos algún día." Absolutely wonderful. The house looks even better than the pictures, top quality. 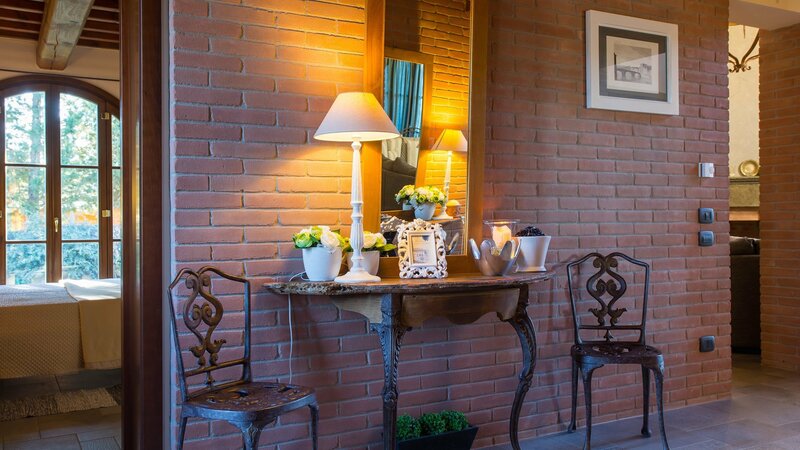 "We thoroughly enjoyed our stay at Flora!!! Everything was perfect and even better than it looked on the website. 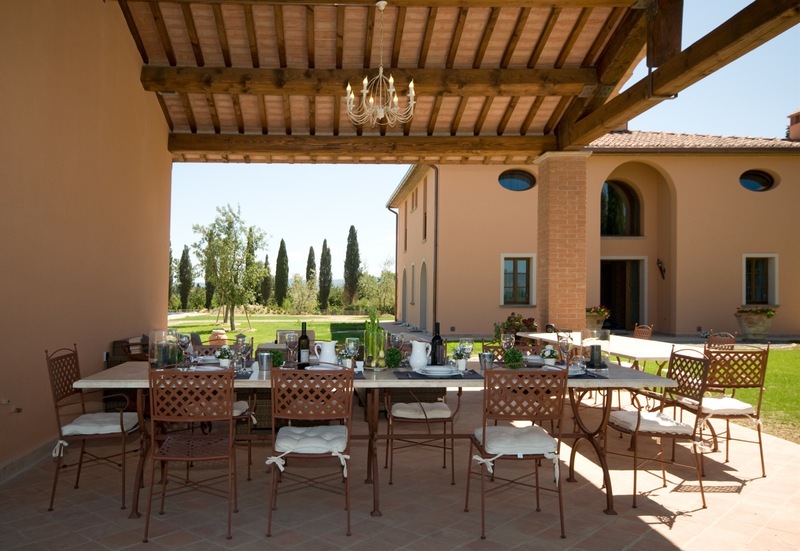 Francesco and his team were the perfect hosts, arranging a restaurant, wine tour, and a gourmet meal cooked for us at the villa, all of which were fantastic! The setting is gorgeous, and Montelopio is as quaint as you can imagine - we loved our morning capuccinos at the little cafe/shop! We hope to come back someday! The only minor complaint: the freezer was broken, so no ice... And one tip: bring mosquito repellent - they are ferocious in the evenings!" "Muy bien atendidos, de maravilla. Es aconsejable. Muchas gracias por el consejo recibido en su día"